Albert Laighton was a 19th century American poet who lived all of his life in the New Hampshire town of Portsmouth. He was a banker by profession and began writing articles and poetry for various periodicals from the age of 15 onwards. Many of his poems are of a light hearted nature, exploring the changing of the seasons and our attitudes to that inexorable passage of time, or vivid descriptions of the natural world. He liked to describe the glories to be found in woodlands and the joy of seeing the birds that herald the birth of a new Spring. Others though were of a more sombre nature, as discussed below. 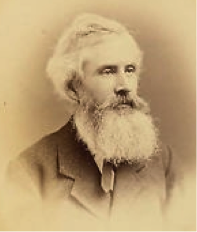 Laighton was born on the 8th January 1829 in Portsmouth. Very little is recorded about his life but it seems he grew up in a fairly affluent environment. He was educated at private schools in his home town and then moved into the banking profession (presumably) soon afterwards. His output of poetry ran to two volumes of collected poems, the first being published in 1859 and the second in 1878. In conjunction with another local poet he had a compilation published in 1865 called Poets of Portsmouth. Laighton challenges the different beliefs that people have while stating the obvious fact that he cannot know if there is such a thing as a guardian angel who watches over us until it is our turn to die. 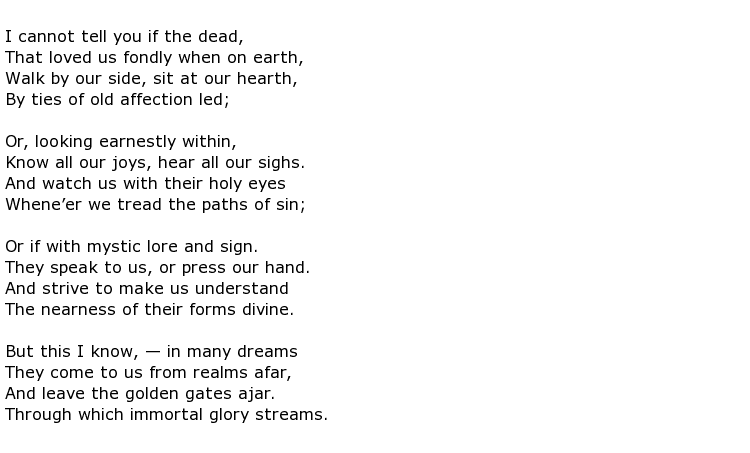 Where he says that “they speak to us, or press our hand, and strive to make us understand” it could be argued that he had “new age” philosophies perhaps well before the term was invented. The last verse, where he suggests that the golden gates are left ajar, certainly implies that he believes that there is a pathway to heaven that has been well trodden already. With “immortal glory” streaming through the gates this is a clear invitation for those about to pass on and, perhaps, reassurance that being dead isn’t such a terrible thing to contemplate. The fact is, of course, that no one knows what happens after death but Laighton certainly offered an optimistic prospect with his poetry. Albert Laighton died in Portsmouth on the 6th February 1887, aged 58.